Your solution to your tribe’s problem is not something that happens overnight; it’s a step-by-step process that they need to integrate into their lives incrementally. This is why we need to segment your solution into digestible stages. The key to segmenting is a logical, digestible sequence that will lead to a specific outcome. Your tribe needs to understand what step comes first, and the next step and so on. When they understand the sequence, they can start to place themselves and where they are at along the sequence. Therefore, segmenting your offer assists them in making the right purchase choice for their current situation. As you carve your unique place in the market, your brand becomes the symbol of recognition for your message to your tribe. It is important that your brand communicates your unique value. This can be done in subtle and direct ways, depending on the medium. 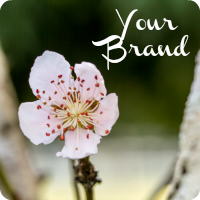 Your brand is more than your logo, it is the story behind your business and the consistent message your convey through all your marketing communications. Ultimately, as a soul business, your brand is you, however, it is also necessary for your brand to stand alone as your business grows beyond you. Listen to the Week 3 Audio [11:01]. 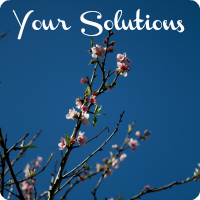 The key themes for this week are Solutions, Story, Safety and Lifestyle. Start preparing to share your Message and your Strategic Story via your Magical Medium.